Labels: C480 Hey Chickie , E872 Beach Sand , E873 Beach Chicken , Patti J. 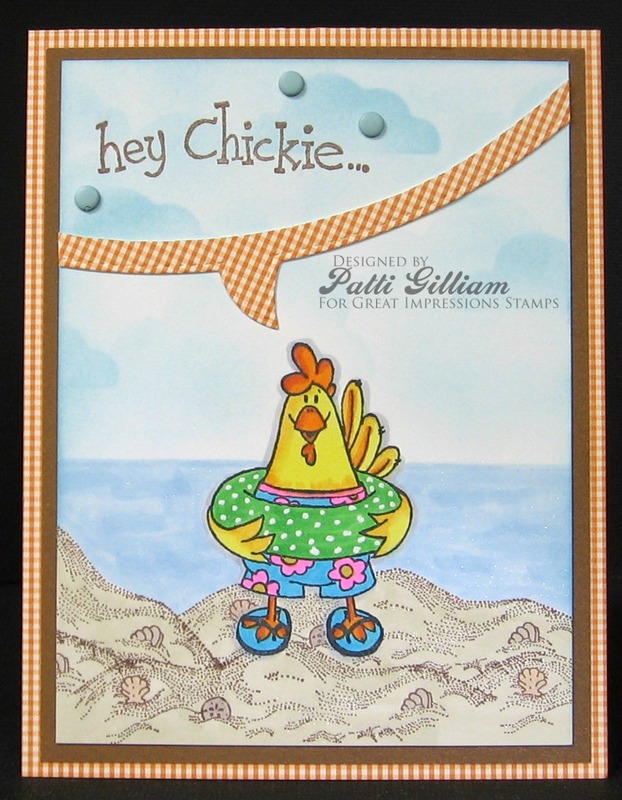 This is so fun Patti, I just love the scene you've created! OMGoodness he is a cutie patootie! Love how you split the front panel of the card using a 'thought bubble' too!